Used the standard stainless steel weight with nothing, with three dimes, and with two dimes. Not telling the listeners in the room what happened they picked the two dimes on three records!! Have to say it works. Will compare to Stillpoints after CAF. 1. Where did you get the balls from? 2. How do you attach them to the clamp? The turntable probably doesn't weigh enough to cause problems. but I put Canadian pennies under the spikes under my Vandersteen 4A speakers and over a couple of years they worked all the way through the pennies and into the hardwood floor I was trying to protect. I decided t splurge and replaced them with (Canadian) nickels at five times the investment. Interesting that the two point contact for the clamps is so different from the conventional annular contact area. Will have to experiment. We can expect some Chinese hifi geek company to start marketing pure gold (well, 22K) Krugerrands as magic clamp enhancers (they now mint a 1/10 oz. version that is about the size of a dime). 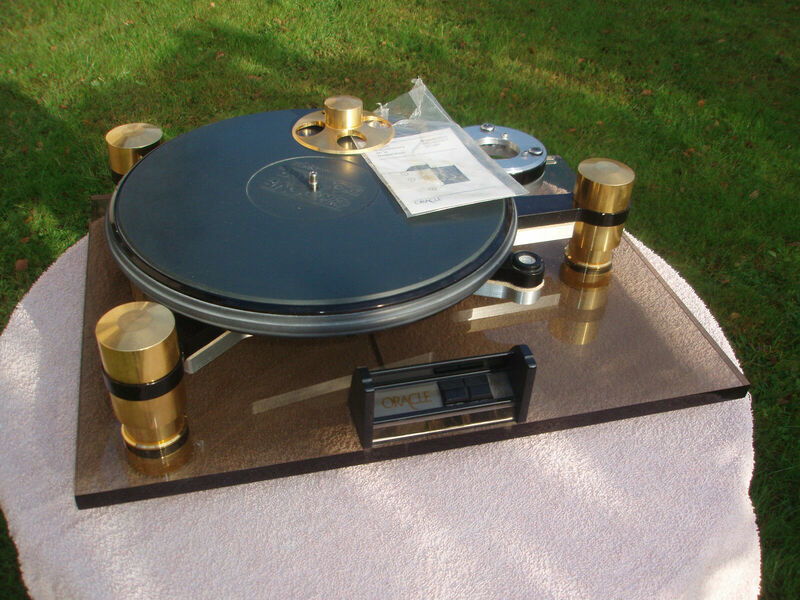 Koetsu Urushi, SME V, VPI TNT 5, SDS, Vendetta SCP-2D, Conrad Johnson Premier 14, Conrad Johnson Premier 11A, Wilson Audio Maxx 2.
wspohn wrote: We can expect some Chinese hifi geek company to start marketing pure gold (well, 22K) Krugerrands as magic clamp enhancers (they now mint a 1/10 oz. version that is about the size of a dime). Already done. I find it works best if I alternate the coins between maple leafs and Elizabeth facing up. No difference whether the stems point to the spindle or not. "If we make the platter damping ring out of 3 pounds of gold and the price of gold goes up what do we do? Sell parts of the ring for a profit and loose some sound quality or leave it alone and possible loose money when gold goes down? The audiophile nightmare. Seconded. Can you provide some more details about this? How does it compared with the far cheaper dime trick? I’m doing recordings now of clamp with thin spacer, clamp with thicker spacer, weight bare, and weight with 2 dimes. It’s my usual tester of side 1 of The Captain and Me. I can post samples tomorrow. Please let me know which track would be preferred, and how much of it would be safe to share here without upsetting the authorities. Thanks to Dorian for letting me try his spare weight!